John Bogle, the Founder of Vanguard Group, was honored with the American Indian College Fund’s Billapaache Award at the 2018 Flame of Hope Gala on April 11 in New York City. Billapaache means friend of the people in the tradition of the Apsaalooke (Crow) people of Montana. As a long-time American Indian College Fund supporter, Bogle was honored for helping more than 500 American Indian students get a college education along with his leadership as a member of the College Fund’s Board of Trustees from 1996-2002. “Mr. 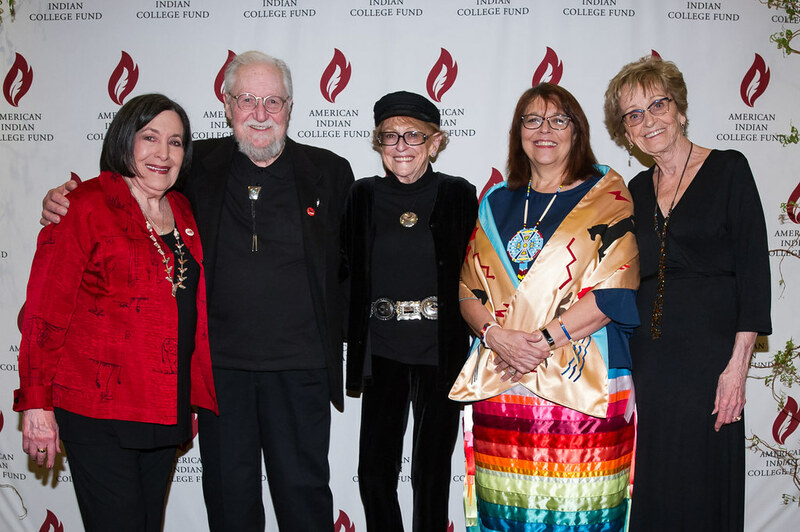 Bogle helped to create a stable and sustainable organization, which allows us to provide much-needed resources to thousands of American Indian students each year,” says Cheryl Crazy Bull, President and CEO of the American Indian College Fund. Bogle founded Vanguard, the financial investment company (valued of more than $4.5 trillion dollars today). He was named in 2004 by TIME magazine as one of the world’s 100 most powerful and influential people. That power and influence may be due to his ability to see the positive in situations, the ability to see hard work as a blessing, and the importance in helping others. “I grew up in Montclair, New Jersey in a well-respected family. We had great community standing, but we had no money,” he says, noting the family lost everything in the Great Depression. Some might have counted that as a disaster, but not Bogle. “I was fortunate to have had to work for what I had,” he says. “I knew the advantages of being an American citizen and being part of a community. I owe a huge debt to society for those advantages. I also owe a huge debt to the education institutions that got me where I am today.” Bogle is a committed alumnus of Blair Academy and Princeton University, both of which he attended on scholarships. To help repay his debt to these schools, he has granted more than 100 scholarships to students over the years. The American Indian College Fund is one of many beneficiaries of Bogle’s generosity. That first donation lead to his appointment to the College Fund’s Board of Trustees in 1996, the same year he was scheduled for a heart transplant. He weathered the storm. Bogle recovered with a new heart but no change in heart when it came to his principles. He was unflagging in continuing to repay his perceived debt: with Blair and Princeton; community organizations; the hospitals that helped him; and many other non-profits, including the American Indian College Fund. Today, 22 years after a heart transplant and a long way down the road from the Great Depression, Bogle still looks at the up-side of life. Perhaps that’s to be expected for a man who saw himself as an eagle, depicted on his totem pole. “I’m pretty much on the surface. People know me well. I am happily married. My children are growing up, my grandchildren are growing up, and my great-grandchildren are coming into the world. I count my blessings, and if people don’t know that, they should,” Bogle says.